My wife remarked that it seems unfair that weight just falls off me like water off a ducks back while she has to fight to lose weight. And she does have a point. I do believe there are differences between men and women when it comes to weight loss. It seems to me that women's systems are more complex than men's and there are more hormones that need to be regulated. However, it doesn't seem to me like my weight just falls off. So I decided to look at some data. This morning, April 1, 2018, I woke up at 233 pounds. That makes a 164 pound loss from my starting weight of 397 pounds on November 1, 2016. 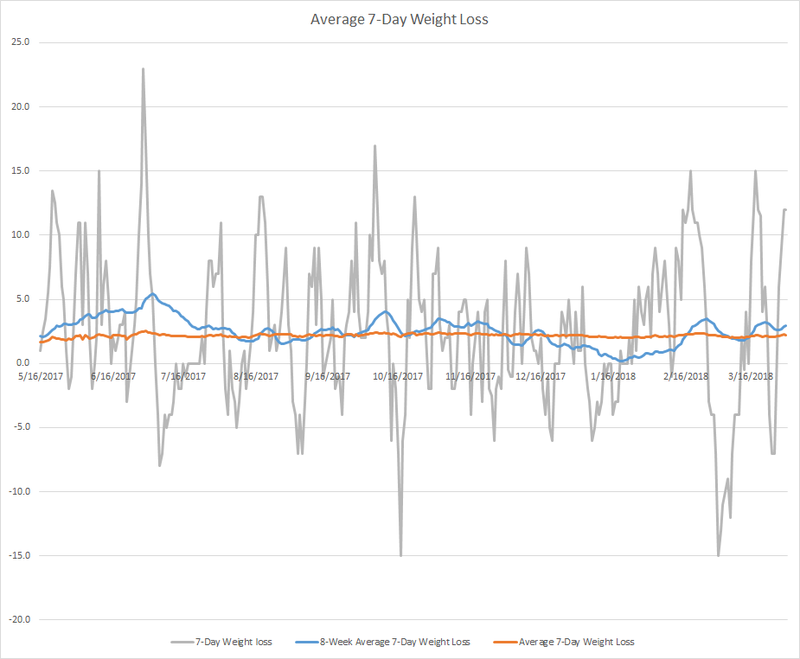 Over the 516 days on keto it is an average of 0.32 pounds per day or 2.2 pounds per week. This falls inline with the common wisdom that a person can lose about 2 pounds a week in a healthy manner. But sometimes it seems like I back track or lose weight very quickly, so I decided to look a little closer at the numbers. I have recorded my weight almost every morning since May 17, 2017. On May 17, 2017 I was 351 pounds. 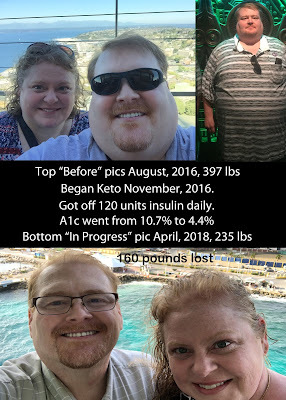 So I lost 46 pounds over the first 197 days of doing keto. This yields an average of 0.23 pounds per day or 1.6 pounds per week. So I guess the moral of the story is everything evens out over time. If you are experiencing a big "whoosh" of weight loss, enjoy it but don't expect it to continue. If you are stalled or even gaining a little, keep to your plan and things will come back in line. My next blog post will be about the uneven loss of fat as you lose weight. 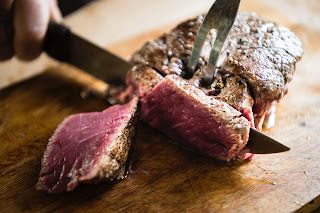 You can also read my last blog post discussing Keto Vacations.